Security and safety activities | About | Maruesu Koun K.K. 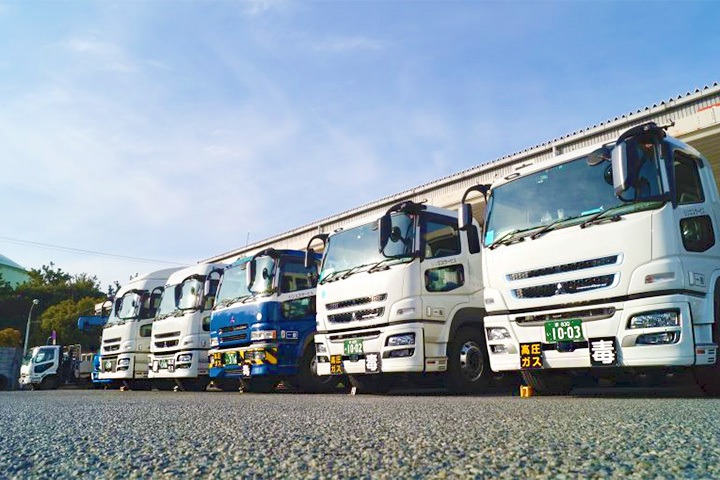 Maruesu Koun considers the company’s work environment because we are serious about transporting our clients’ valuable loads. 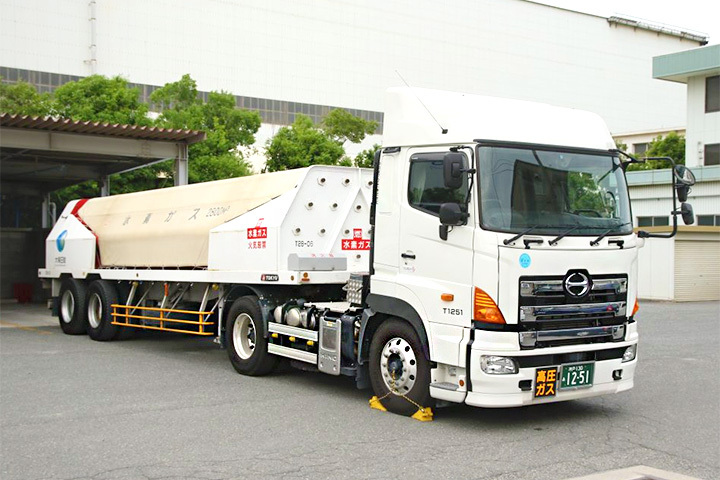 We use leading technologies to ensure transport safety, employees’ well-being, and environmental consideration, so goods can be transported safely daily. 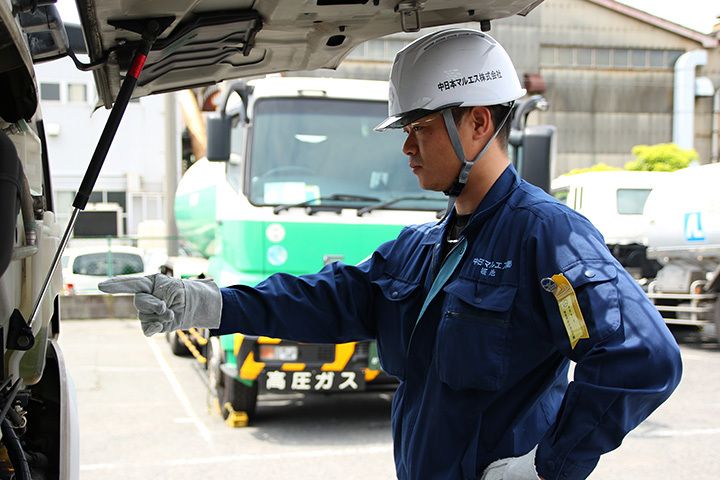 We aspire for and are actively working towards a zero accident society based on both “people” and “vehicle” through daily checkups and enriching safety equipment. 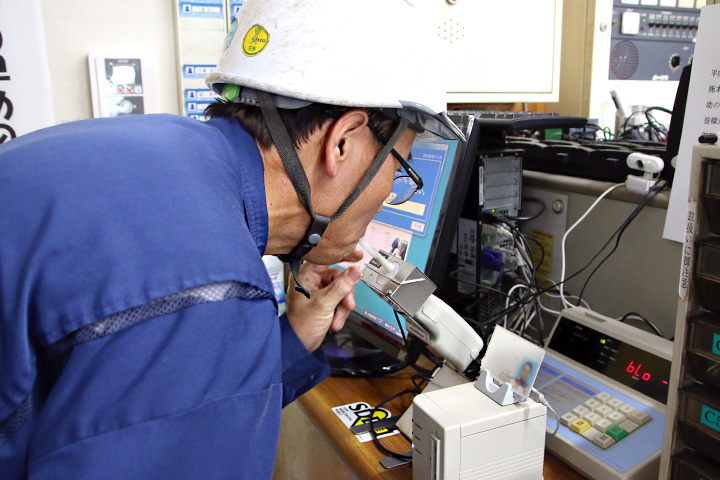 Employees check their breath alcohol levels first thing in the morning, then meet with the dispatcher for a roll call. 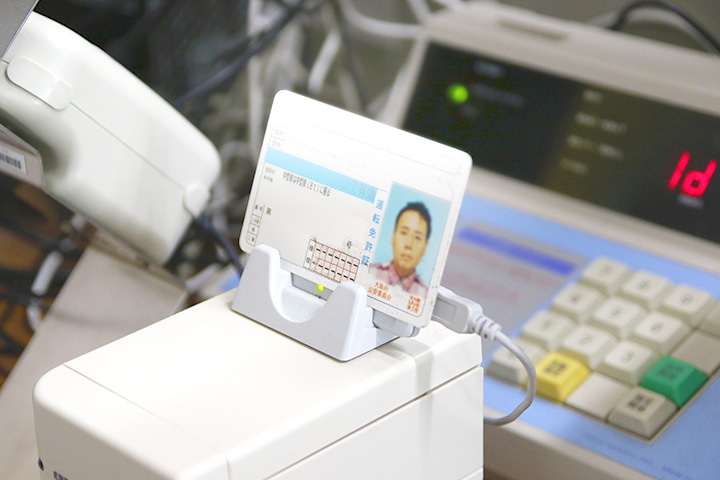 Together, they confirm the employees’ health, their destination, and necessary equipment. 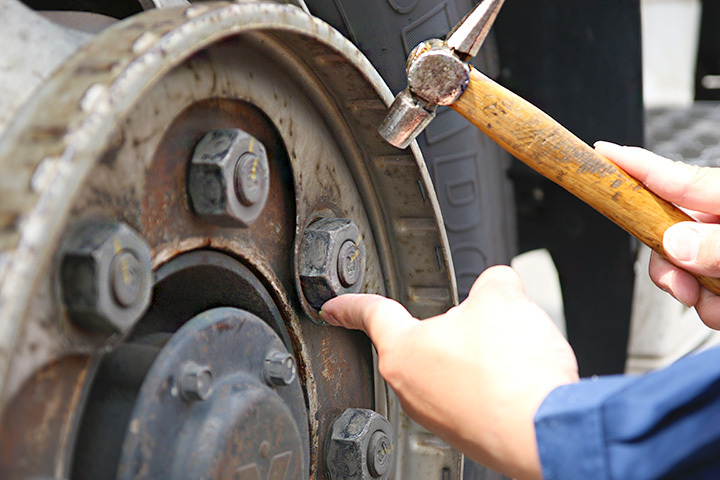 Drivers conduct a daily checkup every time before and after a trip. 1. Turn the engine on and check meters. 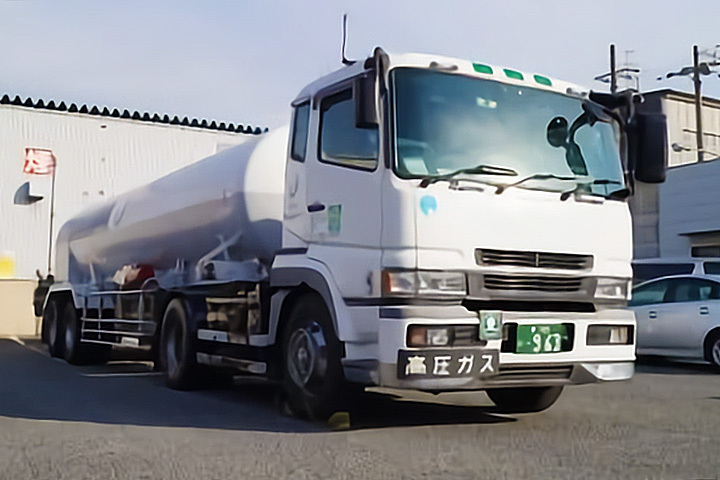 All trucks at Maruesu Koun are equipped with a digital tachograph and a drive recorder to record all driving video and vehicle data. 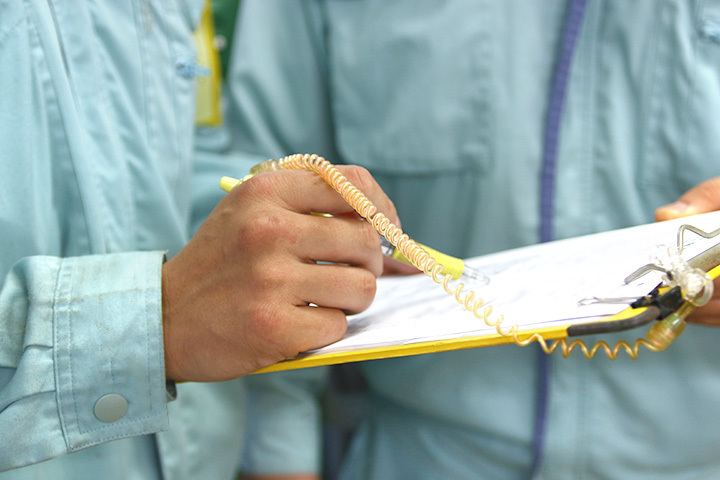 The dispatcher checks all data and any significant record will be implemented in drivers’ safety training. Also, most vehicles are equipped with a rear view camera. Drivers use both visual check and the camera to ensure safety in the rear end. 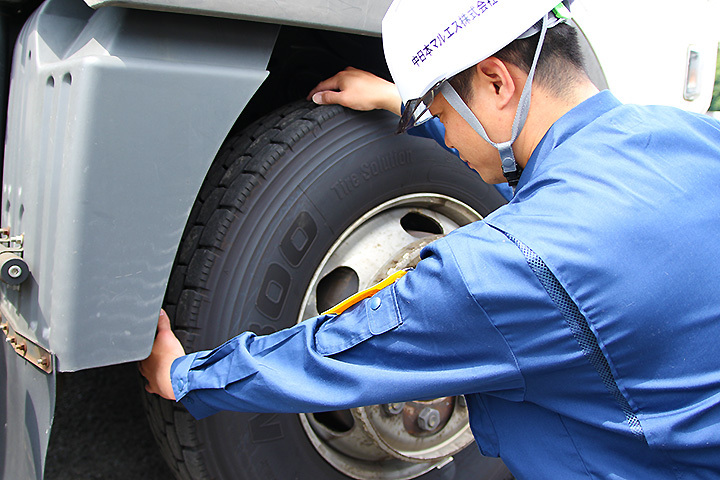 In winter, studless tires are installed on trucks to ensure safety. 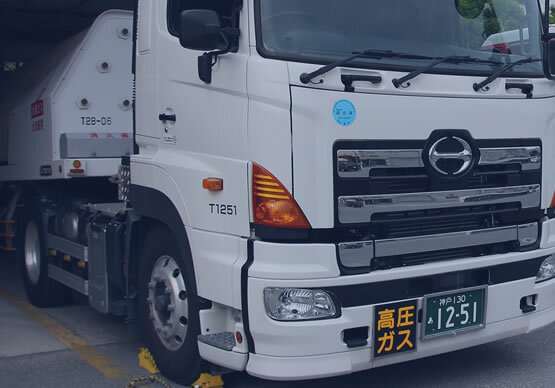 A sensor monitors the vehicle position within the lane, and when it detects the vehicle drifting from the lane, it notifies the driver with an alarm. 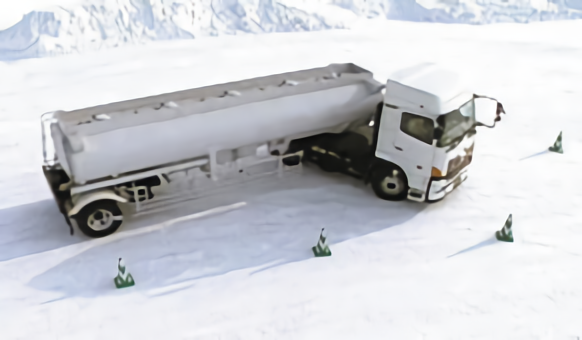 This system supports danger avoidance operations in cases such as overrunning at curves, overturning, and jackknifing using alarm sounds, engine control and braking. 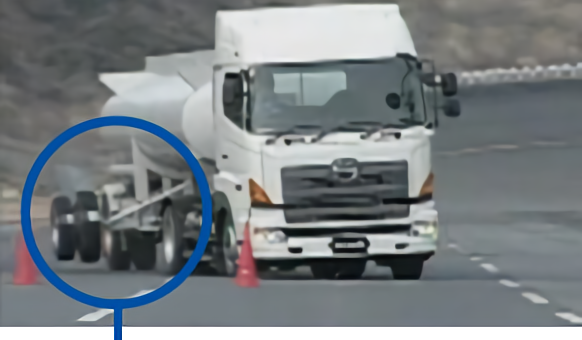 Jackknife can be avoided by VSC jackknife prevention control. 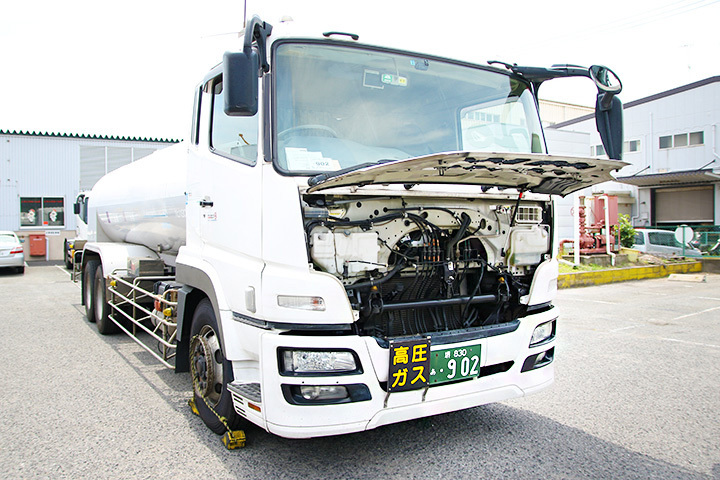 The system controls the trailer with forward velocity and supports appropriate steering angle. 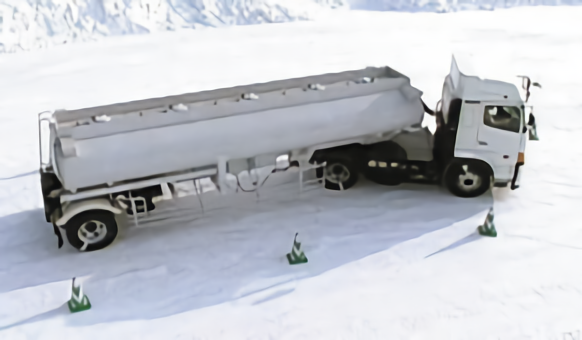 The forward velocity of the trailer that cannot be stopped will cause a jackknife. 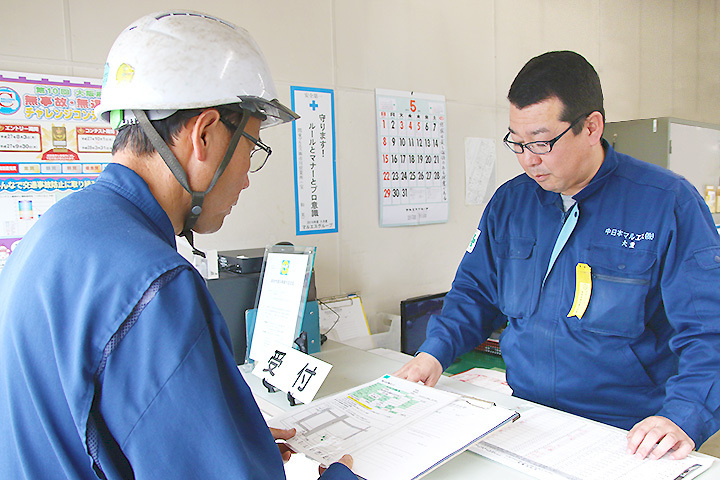 Overturn can be avoided by VSC overturn prevention control. The system controls all wheels automatically and cuts the speed stably to support danger prevention. 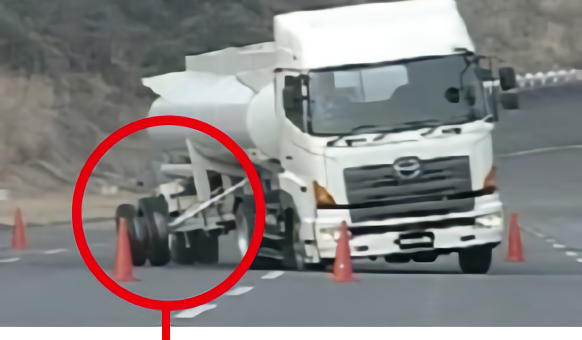 Test vehicle tips and overturn prevention wheels touch the ground.